Photo Friday, Number 67. Theme: Photoshop Skills. 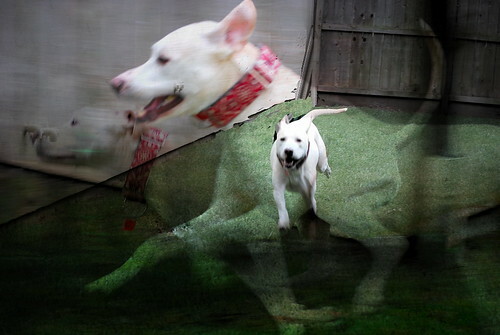 There was a lot of sharpening, adjusting of exposures, and other things that led to the end result, but mainly it's three different photos of Lloyd running that are layered together.